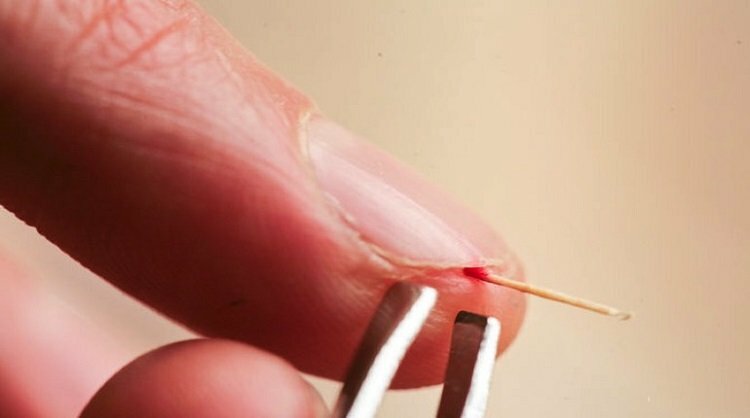 Many people ignore a splinter when it doesn’t hurt; that is a wrong thing to do as a deeply embedded one can quickly cause infections or harm the underlying tissues and organs. So, it is important to remove a splinter as soon as you notice it. Today we will study some easy ways to remove deeply embedded as well as superficial splinters in toddlers and adults. The easiest way to remove splinters on the surface of the skin is to use a pair of sterilized tweezers or a heated needle. In absence of heat, you can also clean the splinter removal tool of your choice with rubbing alcohol or iodine. Make sure you wash your hands with an antibacterial soap before removing the splinter. Using the sharp tip of the needle, gently remove the skin and pry the embedded shard out. Immediately wash your hands and cover the wound with a bandage if needed. Make sure no part of the object is remaining behind in the skin. Get help of a loved one to remove the splinter. An easy way to remove splinter painlessly is to soak the skin in hot water. The heat will shrivel the skin and cause the splinter to pop up. Remove it with tweezers once it surfaces. To remove splinters in toddlers or young kids painlessly, use teething gel. Apply the gel on the skin and allow a few minutes to numb the skin. Next, use a pair of tweezers or needle to remove the shard. Use this trick for getting the splinter to the surface. Soak the finger/foot in a solution of baking soda and vinegar. Let the solution work on the affected area for at least 15 minutes. The bubbling action of the solution will bring the shard to the surface from where you can tweeze it out. To remove a splinter from toddler painlessly, pour a few drops of melted coconut oil, corn oil or olive oil on the skin. This will cause the splinter to slip out. Epsom salt splinter removal is another easy technique to remove foreign bodies deeply embedded in the skin. To a bowl or basin of water, add Epsom salts and soak for 15 minutes. Remove the splinter once it has surfaced, using a pair of tweezers/sterile needle. Add a few drops of honey on the finger/toe where the shard has pierced the skin. Tie a bandage or gauze around it to hold it in place. 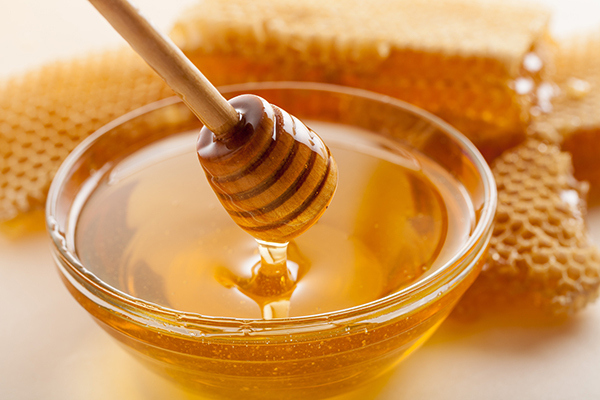 The honey’s absorptive and hygroscopic properties will extract the splinter out. An easy way to get a splinter out with hot water is to use it as a compress. Fill up a glass bottle (milk bottles work best) with hot water and hold the affected finger on the neck of the bottle. Press down as tightly as you can. The heat brings the flesh down and pulls the splinter out to the surface. Use a slippery elm poultice made with its powder to draw the splinter out to the surface. This is a painless remedy for splinter removal. You can apply clay to the affected area to tighten the skin and draw the foreign object out easily. Bentonite clay works best. 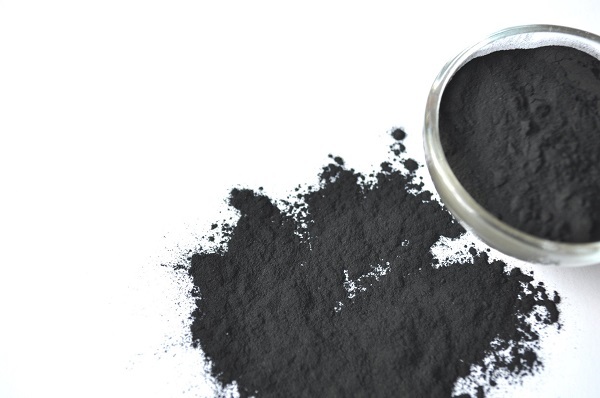 A great remedy to remove deeply embedded splinters is activated charcoal or activated carbon. Pills of charcoal are readily available in the market. Make a thick paste in water by crushing a couple of pills and apply to the affected area. Cover with a bandage or gauze and leave it on overnight. By morning the splinter will be out. Before removing splinter, hold a couple of ice cubes on the skin to numb it up. Now use a sterilized needle and a pair of tweezers to remove the offending object painlessly. To remove a splinter with sugar and soap, mix brown sugar with laundry soap and apply to affected area. Next morning the shard will be out. Simply apply tape on the affected area and pull it right out. This method works for superficial splinters. Apply a thin layer of school glue on the skin and let it dry. Peel off the layer along with the foreign body. If you are prone to splinters due to the nature of your work or your hobby, then keep a splinter removal tool kit handy. This helps loosen and pull out splinters, thorns and shards painlessly. Many ‘drawing’ salves are available in the market; they are great for loosening the splinter and drawing it out to the surface. 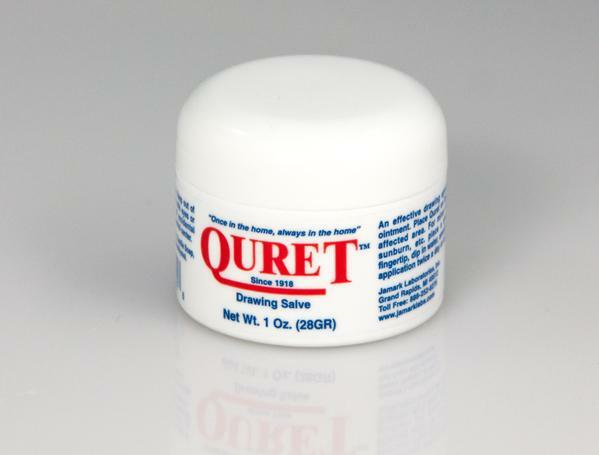 Here is a great product to relieve pain and prevent infection. Quercetin-This builds immunity. It also has antihistamine action and fights inflammation. Vitamins C and K- Vitamin C protects against damage and speeds up healing. On the other hand, Vitamin K helps with blood clotting. Garlic- Eat a few cloves of garlic to prevent infections caused by deeply embedded splinters. Arnica-This herbal remedy heals the skin quickly. 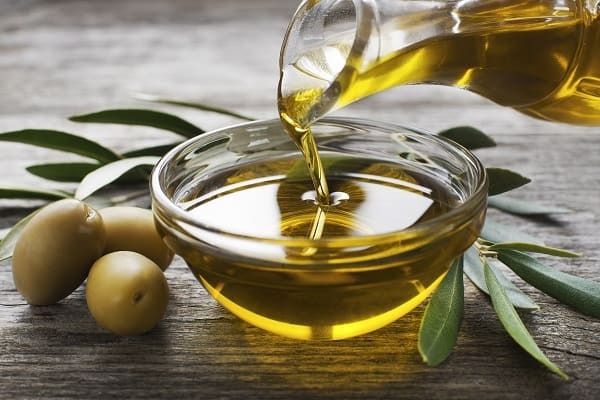 Cod liver oil- This remedy fights inflammation and prevents skin infections. Protein and silica-Both are needed for healthy skin. Beta carotene-This helps with skin repair. Try these 18 easy ways to prevent and remove splinters whether you can or cannot see them.